My online mom’s board is having cooking challenges again. It’s a great way to find new recipes and break out of food routines. I know I find myself cooking and baking the same things more often than trying something new! 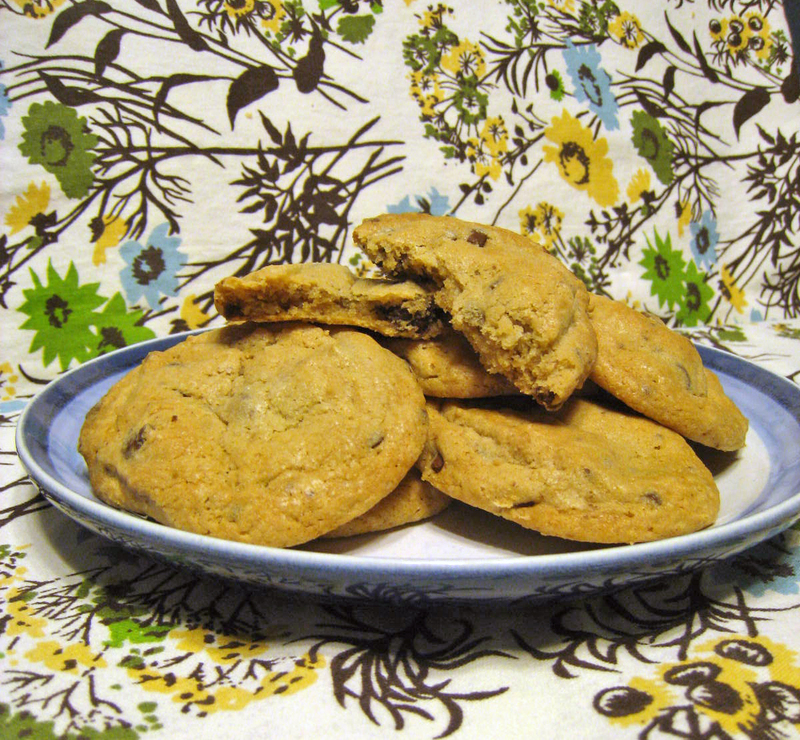 This challenge recipe won over 2 other cookie recipes. I mean, who doesn’t love the combination of chocolate and peanut butter. I loved the texture of these cookies. They were the perfect balance of sweet and salty with the addition of fine gray sea salt sprinkled on top. To make the peanut butter truffle, mix together the peanut butter and powdered sugar. Line an 8×8 baking pan with foil and spray with non-stick cooking spray. Press in the peanut butter truffle mixture and freeze overnight – the longer the better. Preheat oven to 350 degrees. Line 2 baking sheets with parchment paper (remember I’m all about easy clean-up!). In the bowl of a stand mixer, cream together the butter and both sugars. Add in the eggs and vanilla. Continue to mix until well combined. In a separate bowl, mix together the flour, salt and baking soda. Slowly add the dry mixture to the wet ingredients. Mix until combined. Add in the chocolate chips by hand, mixing until just combined. Remove the peanut butter truffle pan from the freezer. Cut into cubes/chunks. I found it easier to just break them apart as the truffles softened up. This happened for me really quickly as I decided to make these cookies during a heat wave. Once cut into chunks, place the truffles back into the freezer for 10 minutes. Add the peanut butter chunks to the cookie dough mixture. Mix by hand to just incorporate the chunks into the dough. Place rounded tablespoons of dough onto the prepared cookie sheets, leaving about 1 inch apart. Sprinkle lightly with the gray sea salt. Bake for 10 to 13 minutes. Let cool for 10 minutes on baking sheet, then transfer to a cooling rack to cool completely. Makes 3 to 4 dozen.